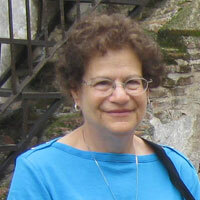 Dr. Melissa Axelrod received an appointment in the Department of Linguistics at UNM in 1995. Her research focuses on 1) morphosyntax and semantics in polysynthetic languages, and 2) language preservation and revitalization in Native American language communities. Axelrod began work on Northern Athabaskan in 1981, has published a book and many articles on the Koyukon language, and has collaborated on volumes of texts and pedagogical materials, and contributed to a comprehensive dictionary. She has worked on language revitalization efforts in the Southwest since joining the UNM faculty, working with the Apache and with the Sandia Tiwa, and Nambe, Pojoaque, and Tesuque Tewa Pueblos. She has been involved in projects with the Jicarilla Apache community since 1996, in particular, as PI of the NSF-funded Dictionary of Jicarilla Apache project (W. Phone, M. Olson, and M. Martinez. Abáachi Mizaa Láo Ilkee' Shijai: Dictionary of Jicarilla Apache (UNM Press, 2007). She has collaborated, along with a team of UNM students and graduates, with the Language Program at Nanbé Pueblo, on a dictionary and pedagogical materials. The comprehensive Dictionary of Nanbé Tewa will be printed for community use this year. Lastly, she has been working with colleagues on a documentation project for Ixhil Mayan since 2001, involving a trilingual grammar and pedagogical materials, and participated in the O’odham Ñe’ok Revitalization Project since 2009.